The Rotorama Meffie 2.5" ARF is a top racing copter and a novelty in 2019. Its flight performance is reminiscent of a five-inch racing beasts with the benefit of minimal inertia. Thanks to this, Meffie is versatile and can fly in a small space such as halls, parks, or gardens. This category, however, surprises by its performance, despite its miniature size, and so on "longer" technically challenging tracks it will be able to keep up with bigger machines. 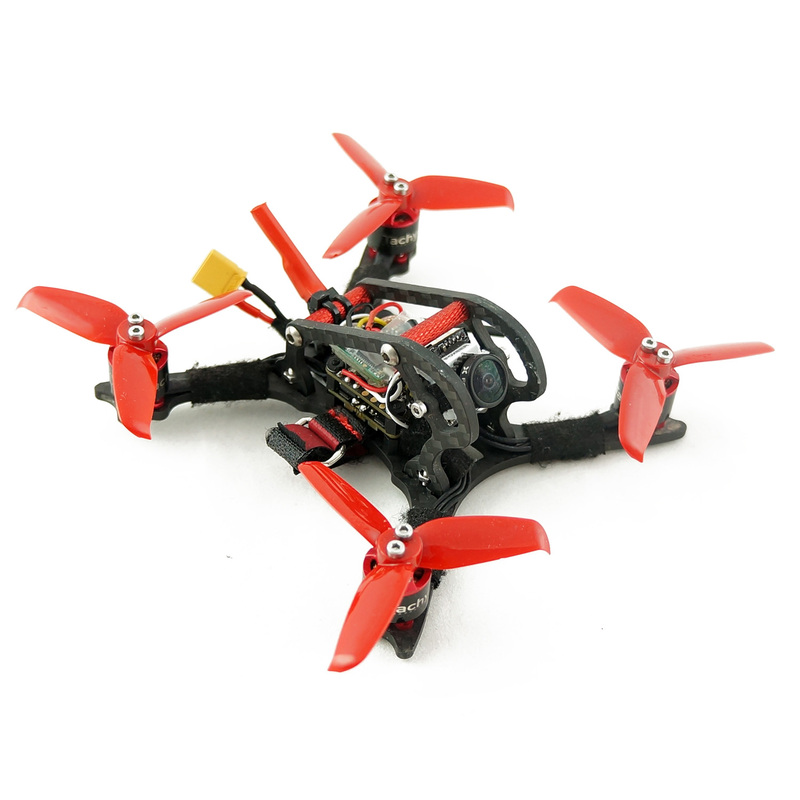 Due to the low weight and assembly, it can also be a suitable multicopter for getting into the hobby. The ARF set contains the components for the construction of the copter; you will still need a receiver suitable for your RC transmitter, for example: FrSky XM (if you are using Frsky RC systems).